Are you a Panda Bear or more of a Black Bear? Maybe a Little Bear? Whichever species of bear you identify with most, you’ll find a floor plan named for and designed to satisfy your apartment needs. The Crossings at Bear Creek offers one, two and three bedroom apartments in Lakewood in a variety of layouts. 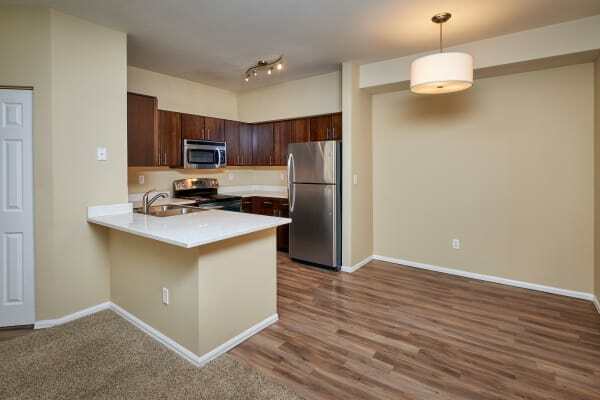 One bedroom apartments range from 745 square feet to 807 square feet. Two bedroom apartments range from 949 square feet to 1,075 square feet and can include one or two bathrooms.Three bedroom apartments are 1,300 square feet with two bathrooms. What features help make your house a home? Touches of luxury, including stainless-steel appliances, maple cabinets with espresso finish, and solid surface quartz or granite countertops contribute to the contemporary feel of our one, two and three bedroom apartments in Lakewood. Berber Carpet and wood plank flooring provide surfaces the feel good between your toes. Central heat and air help you find the perfect temperature all year long. 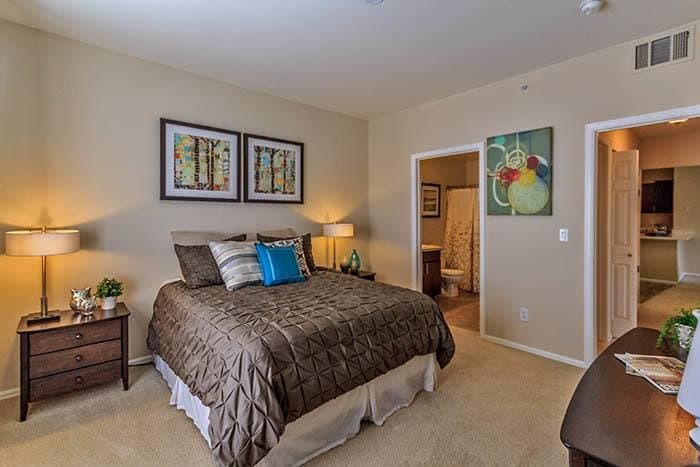 When it comes to creating your home, The Crossings at Bear Creek Apartments offers residents the ideal space. Browse the one, two and three bedroom apartment floor plans available at The Crossings. Once you’ve found one that piques your interest, contact us to schedule your personal tour. We look forward to showing you your next home!